This page will guide you on how to get a publisher to produce and sell a book of your photographs and/or writing, and to pay you for the right to do so. What can I expect in return? 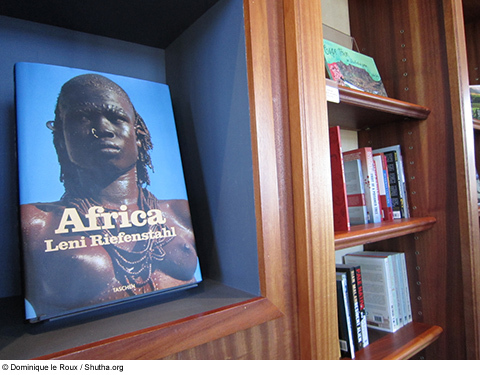 FIGURE 1: A typical African photography book showcased in a small bookstore. Look carefully at the photography books that have already been published and ask yourself why the publisher might have invested in that book and who you think might be the potential buyers. Likewise, ask yourself why this small bookstore selected this particular book to highlight 'face out' while all the other books on the shelf to the right are 'spine out'. It is important that you realise that books are very expensive to produce, and that photographic books in particular sell in very low quantities, even in the leading cities of the world. This means that you should think very clearly about what it is that you offer and why somebody would want to buy the book. The bottom line is this: do you have something meaningful that a publisher would want to invest in and that buyers would want to pay for? If your answer to that question is yes, then take courage: getting published is a fairly long process, but it need not be daunting. In the past there were no other publishing alternatives: if you wanted to see a book of your work on the shelves, you had to get your book accepted, produced and sold by an existing publisher. These days there are a myriad other options as well as different definitions of what a 'book' actually is. The page on Independent Publishing looks at different ways of getting a book onto the market, but in general, the traditional or conventional approach still holds the most advantages to the average photographer. Except for your actual expenses in getting the photographs, you have no upfront costs.The publisher not only pays you, but also covers all the costs of the production, printing, marketing, sales and distribution of the book. The good name of the publisher reflects well on you. The more prestigious or well-respected the publisher is, either in your specialist market or to the wider public, the more respect your book will be given. The very fact that your work has been selected by a publisher will give you status. The publisher's experience in the market means they are more likely to make good decisions that will ensure the success of the book. Particularly when publishing your first book, it is very reassuring to know that you have their expertise and their tried-and-tested methods to rely on. The publisher takes most of the risk. If they pay you an upfront fee for the photographs, you have no risk at all: whether the book sells or does not sell, you still have your money. If they pay you a royalty and the book does not sell very well, you will not make much money, but still you will not have had to pay all the production costs that made the book a reality in the first place. You do not have the final say. The publisher is the investor and thus the 'owner' of the product. The fact that the book has your name on the cover does not mean that you can dictate even what that cover will look like, let alone any of the other details like where it is sold and how it is marketed. The publisher is, in effect, the customer: they are paying you for your product or services, and they have the final control over what they can do with it. Obviously they should try to reach a compromise that makes everybody happy. The publisher takes the profits. You as the photographer will be paid a relatively small amount, either as a once-off payment or on a royalty basis, but they will keep the bulk of the revenues. This obviously depends on the nature of the book and the publisher you are submitting to. You need to have a book that people will want to buy. They might pick up and admire a book that is beautiful, but they only buy a book that has subject matter that appeals to them. More often than not, you are not a subject that they care about. So it can't just be a collection of your best images. Choose a subject that they already care about and make the book about that subject, not about you. If you are a sports photographer, for example, rather than wanting to do a book on your all-time best photographs, focus on a particularly popular sport or team, ensure you have a significant body of work on that subject, and submit that idea to the publisher. 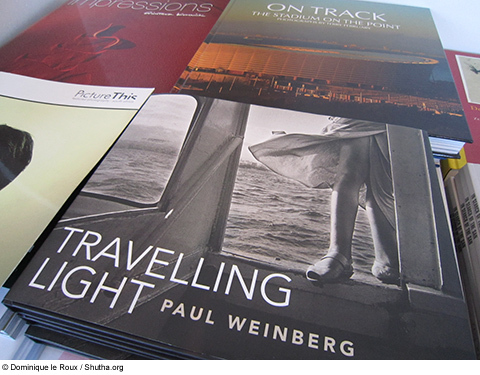 FIGURE 2: These books each showcase the work of individual photographers but while the one in the foreground trades on the existing name and reputation of photographer Paul Weinberg, the one further back was published during 2010 when the World Cup created a market for images of the new stadia, and it relies on interest in the subject matter rather than the photographer. 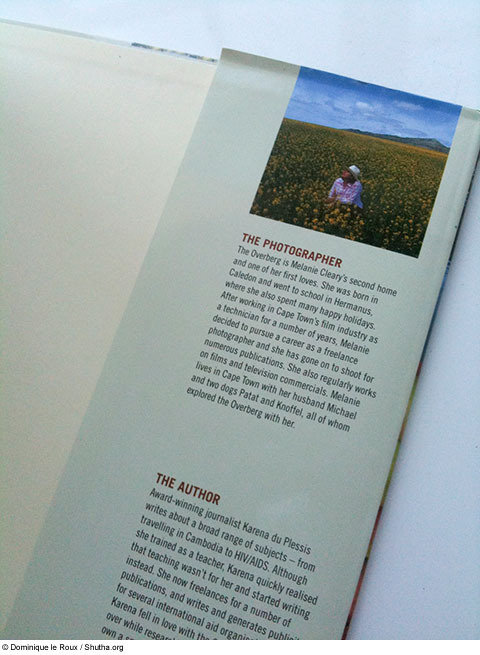 Book printing requires extremely high quality images which will be converted to CMYK for printing. You will need a big selection of images, at the right quality, of every aspect of the subject matter, and usually in both landscape and portrait format. 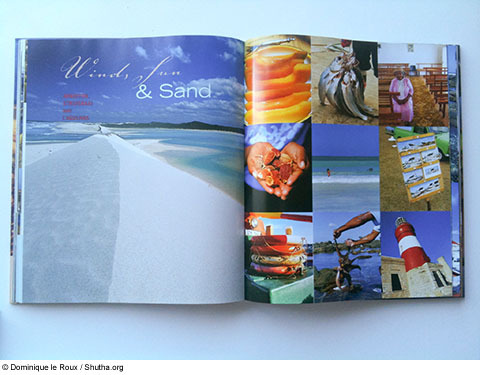 Figure 3: Notice the number of images used on just one double page spread in this book. Note also that all those images on the right hand page were cropped to the almost-square format during the design process. The photographer, Melanie Cleary, supplied literally hundreds and hundreds of images, with multiple format options per image, so that the production team had sufficient material from which to make a selection. At the time of shooting, the photographer had very little idea of how the images would be used. You cannot be a 'nobody'. Book publishers need something to help them with their marketing: so if you are an expert in your field, or you have won a significant award, or done something to stand out from the crowd, you must let them know this. Failing that, at the very least you must have a track record of professionalism and reliability - they will be investing a lot of money in your book before it even sees the light of day, and they need to know that you will not let them down. Figure 4: A useful exercise to do before you pitch your idea to any publisher is to write a biography about yourself that would feature on on the book cover. In it, highlight your experience and reputation as a photographer as well as your expertise or experience with the specific subject matter you want to do the book about. Then be honest with yourself: if your bio does not sound credible, perhaps you should wait a year or two and focus on building your reputation and expertise instead? The relationship between an author (whether you are a photographer or a writer, you are still known as an author) and their publisher is more than just a client relationship. Even though the publisher is paying you, this is more of a partnership, and so you do have the right to expect certain things from them. Payment can either be upfront or as a royalty. An upfront payment might include an advance, paid when you sign the contract and they agree to publish your book, and the remainder when the book is printed. A royalty is a percentage fee which is paid for every book that is sold. Publishers will usually pay out royalties twice a year, so it means you might have to wait a while before getting your first payment, but then after that you will ideally continue to receive payments for years to come, long after you have finished working on that book. The publisher will give you a few free copies of the book (usually somewhere between 5 and 25) and the opportunity to buy any more copies from them at a discounted rate. This way, if you sell the book directly to your own friends, clients and contacts, you can earn revenue in the same way as a bookstore does. The publisher is responsible for everything that is involved from receiving your photographs and/or text and getting it into book form. They should not only be providing the expertise to do this, but also covering the costs of it. Book marketing is the work involved in getting potential buyers to know about the book. This might include getting reviews in books and magazines, interviews on radio and television, exhibitions open to the general public, etc. Sales is the work of convincing individual bookstores to buy the book and to stock it in their shops. The logistics role of actually getting the book from the warehouse, where it is stored, to the actual bookstores and other buyers is an expensive part of the process and is one of the most important roles a publisher plays. Calculate what your requirements will be if they do agree to your proposal. How long will the photography really take? What costs will be involved? How many images will be needed? Is there a specific time of year or any other circumstance that must be in place? Think through all your requirements realistically, and calculate conservatively the time and the financial resources that would be required. 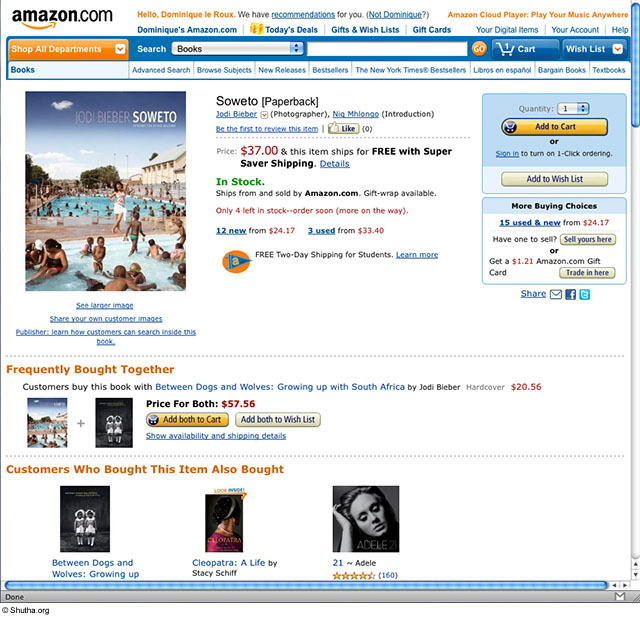 Investigate publishers and their product ranges. There is no point in submitting a proposal to a publisher who does not usually do this type of thing. Your best bet is often in doing something that is in some way similiar to a book they have done already and that seems to be popular or successful. Figure 6: One of your safest bets as a first-time book photographer is to pitch an idea for a new book in an existing series. 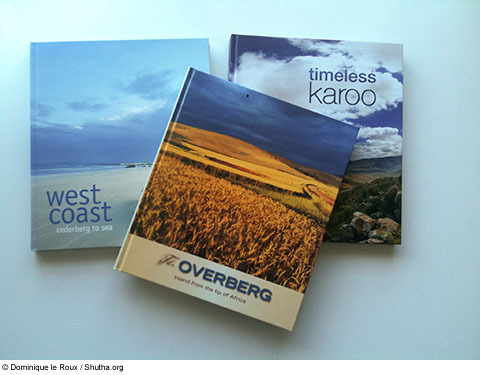 For example, Struik Publishers produced this range of regional travel souvenir/guides. Each book has its own design and distinctive personality, but all also have the same format and a similar target market. A photographer pitching a similar book on a region not yet covered by this range would stand a better change of being accepted. Find out who the appropriate person at the publisher is to contact, and how they would like to receive your submission. Eg do they want it via e-mail or a hard copy? Do they have any specific forms that you need to fill in? Compile a simple yet powerful summary of your idea, its place in the market, and your credentials. You should be able to summarise your idea in one paragraph. Look at the back cover or inside flaps of any successful book and you will see the kind of motivation you need to write: it should grab attention and neatly summarise the highlights of the book. This is an important paragraph, so get a writer friend to help you with it, if need be. Now write one paragraph that briefly explains why you are the best person for the job. Why should they invest in you? Submit to the publisher, and then be patient. Do not expect to hear anything within the first month. Then follow up politely via email, just asking for confirmation that they have received the proposal, and when you can expect to have a response. This is more like an assignment, so tackle it that way. Do your research on which publishers usually commission your type or style of photography, put together a body of work that showcases your abilities, and then get them to look at it. When you contact the publisher, make it clear why you are doing so: you have experience in photographing this subject matter or have a relevant portfolio or collection that might be of value to them, and you are offering them the opportunity to use it in their existing projects.